Hello there! Sorry I have been gone for a while but I’ve been busy working on re-creating my website and moving my blog to this new location. No easy feat, but luckily I’ve got some great tech support on my side. 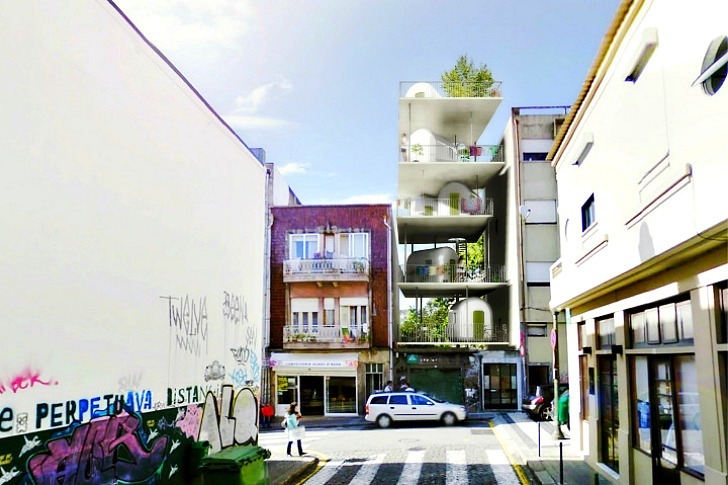 Today, I bring you a rather innovative idea using pre-fabricated buildings in conjunction with open-air platform structures to create urban infill in the Portuguese city of Porto . The brains behind this ingenious design – Filipe Magalhaes and Ana Luisa Soares – who entitled the project, Polikatoikea. 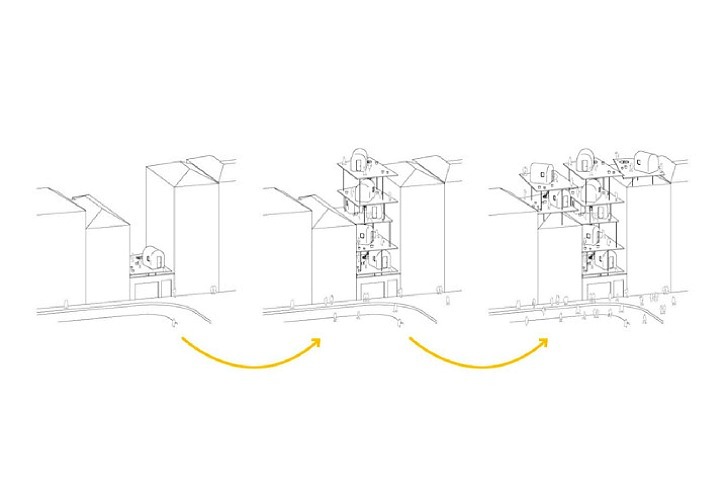 The talented team took 1st prize in the Architectural Origami Competition – which challenged architects to devise a way to fill abandoned and unused urban lots. See more about the design project here. 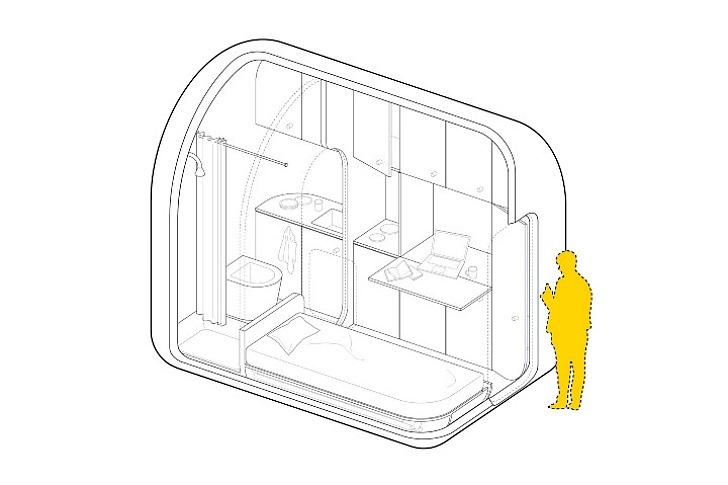 The pre-fabricated pods would be air conditioned so the inhabitants could escape the heat when needed but in the pleasant climate of Portugal, outdoor living is a way of life. So, most of the square footage is expressed in the open-air platform. The platforms could be erected over existing lots, fitting nicely into the urban landscape while providing affordable living quarters for many residents. 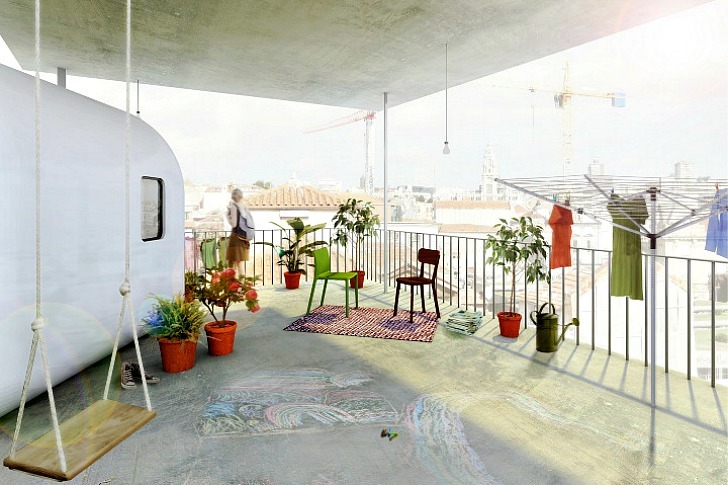 I love seeing imaginative solutions for growing urban environments!